1. Coppercoated Entertainment provides promotional opportunities for independent gospel artists to break them into the Canadian market and promote them to a new audience base. 2. It is our mission to move independent gospel artists from the limits of selling product only in the U.S. to the new and broader Canadian markets. 3. Coppercoated's extensive reach into the community, rich network of promoters, venues, churches and organizations creates more opportunity for Gospel Artists who are seriously interested in investing in the expansion of their ministry. 4. Coppercoated Entertainment goes to great lengths to ensure that our artists are as comfortable in Ottawa as they would be in Boston, New York, New Jersey, Ohio or LA. It is our mission to serve you and ensure your time here is pleasant and beneficial. After all, we want you to come back! 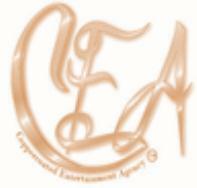 The Coppecoated Entertainment Opportunity is a Promotional Opportunity. Your fee allows access to the vast array of contacts in the Canadian market. Our service is an ADDED VALUE. Contact CEA for details.